‘Viswa’ means Universe; ‘Vahini’ means flow of thoughts. The students’ bulletin titled ‘Viswavahini’ with the remembrance of our donor Sri Viswanathan , enriches the creativity of the students. 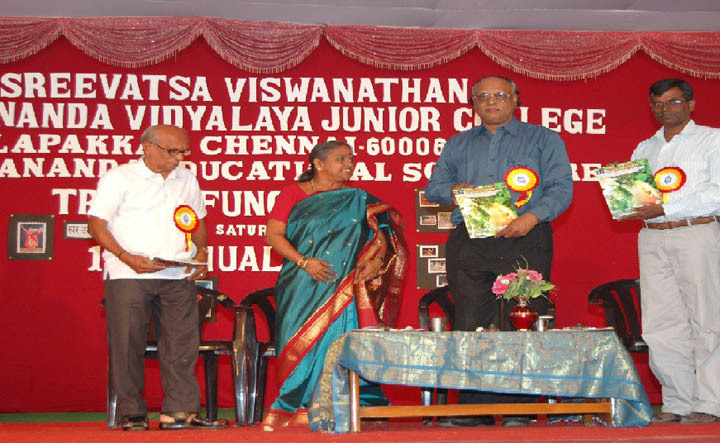 The magazine is released during the Annual day celebration. 10 cascades are flown. Noteworthy achievements of the students as well as the teachers, reports of the school happenings, flows from teachers’ pen and students’ write ups decorate the pages of the magazine.